Image: ermess/iStock/Getty Images Plus/Getty Images. If you’ve ever dreamed of living in Italy, even if for a few short months, Airbnb wants to help make that dream a reality. Airbnb’s Italian sabbatical is a unique opportunity for four people to move to Italy for three months, from June to August 2019. But these lucky participants won’t be heading to Rome. Instead, they’ll fly to the small village of Grottole, which is located in southeast Italy. 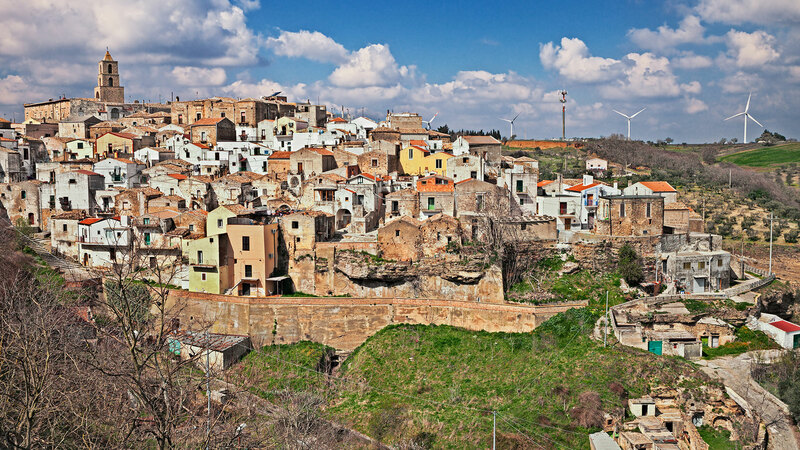 And when we say the town is small, we mean it: Grottole has just 300 residents. As temporary citizens, selected candidates will immerse themselves in the rural life and, most important, volunteer for Wonder Grottole, a local nonprofit organization that’s mission is to revitalize the town’s historical center. That’s the No. 1 goal. Candidates will take Italian classes, help grow local produce in the vegetable garden, take cooking lessons and learn all the secrets of Italian cuisine, walk through sunflower-filled fields and help locals harvest their own olive oil, explore the countryside on a classic Italian Ape Piaggio (a scooter, basically) and so much more. Plus, you’ll have plenty of time to kick back and enjoy some downtime with the locals. Applying is easy. Merely fill out the form on their website by Feb. 17 at 11:59 p.m. Central European Time or 5:59 p.m. Eastern Standard Time. And as part of the application, you must answer two questions: What’s your story and why are you ready to move to Grottole and take a sabbatical? And how would you contribute to the local community and make a difference in Grottole? Here, you can write all about your passions, whether you’re an artist, have a passion for cooking or photography — whatever it may be.